Head chef Dan Burridge is passionate about high quality seasonal ingredients and works with a bountiful supply of Nottinghamshire’s best produce. 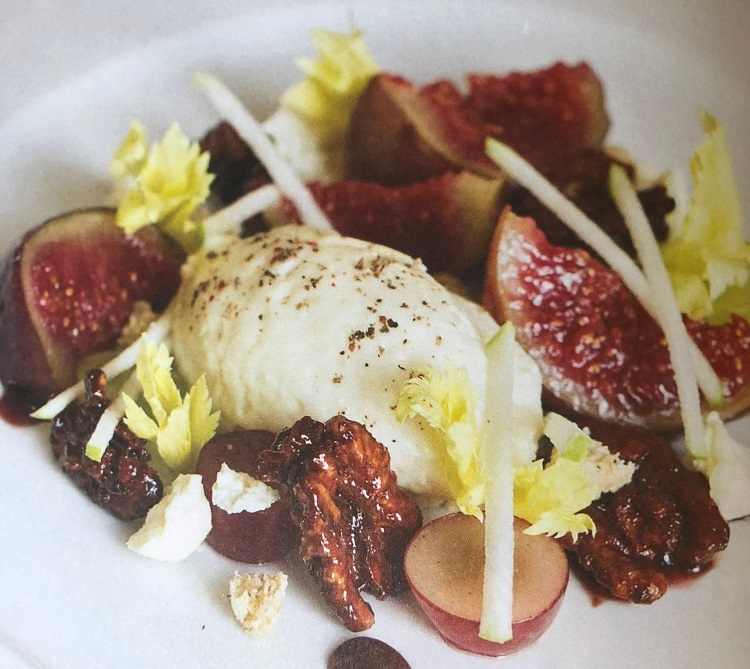 Here Dan shares the recipe for one of his favourite desserts, Colwick cheesecake with Italian meringue and figs. We’ll sure you’ll love this local Nottinghamshire cheese as much as we do! Remove from the oven and blend in a food processor, adding the gelatine leaf. Set to one side. Whisk the egg whites with an electric mixer until the meringue has developed. Slow the mixer down, leave on the lowest setting and then slowly add the hot sugar syrup. Fold the meringue into the cheesecake mix, pour into a tray and place into the fridge to set. Add butter in three stages until just combined, pulsing each time. Roll and bake at 175°C for 15 minutes. Once cooked, cut into desired shapes. Bring all the ingredients to the boil, simmer for five minutes then take off the heat. Drop the figs in the liquid and leave for 5 minutes. Take out and pass and reduce the liquid.